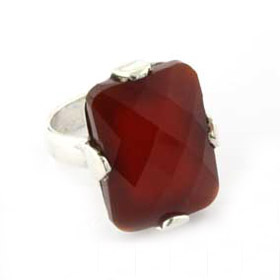 Onyx is an opaque, even textured semi-precious gemstone and creates wonderful jewellery. 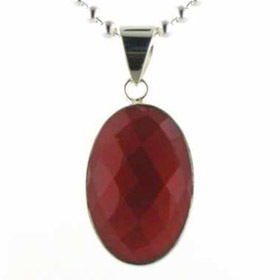 We stock black onyx jewellery and green onyx jewellery as well as the red onyx jewellery you see here. 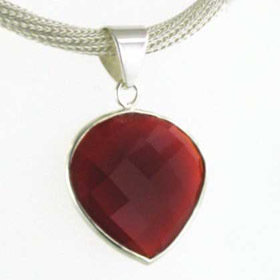 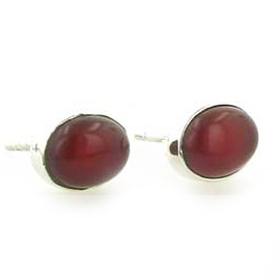 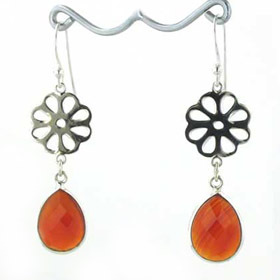 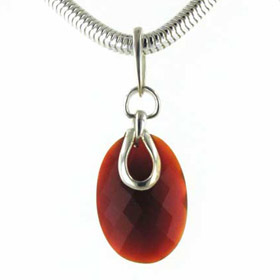 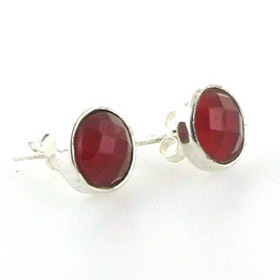 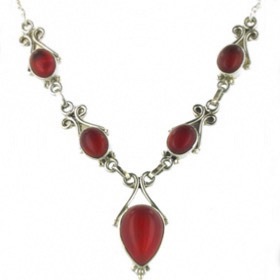 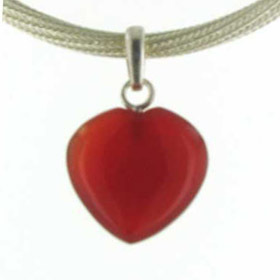 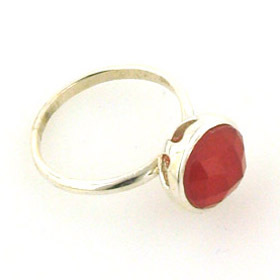 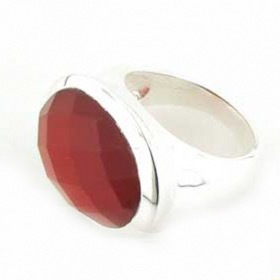 All Our Red Onyx Jewellery is set in Sterling Silver. 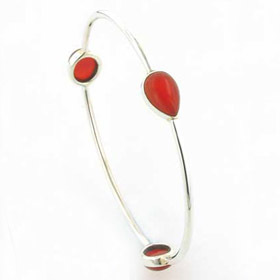 Red onyx is a vibrant red, the colour of paprika and when polished and faceted into stones for jewellery, the richness of the colour is enhanced. 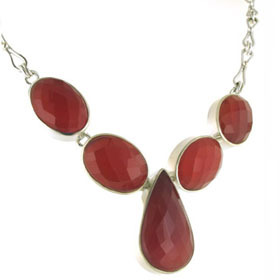 Our red onyx pendants, necklaces and red onyx earrings show both polished stones and faceted stone jewellery. 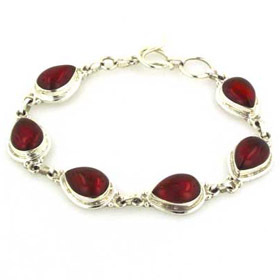 Shop for your sterling silver red onyx jewellery below. 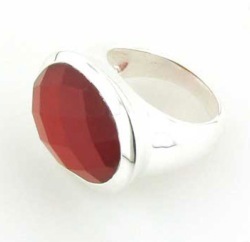 Checker cut red onyx ring claw set in sterling silver.